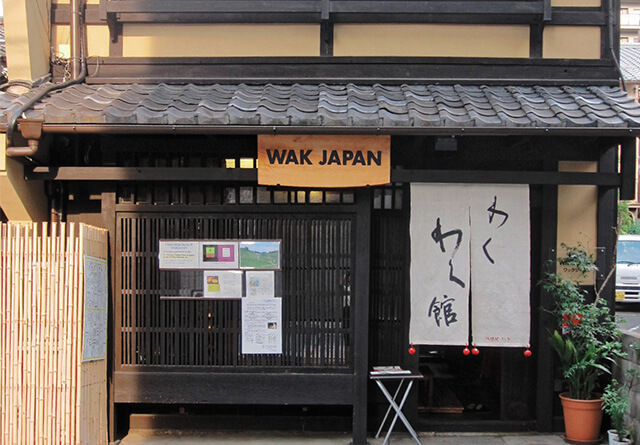 WAK JAPAN’s culture programs are held at 100-year-old traditional Kyo-Machiya, wooden townhouse. Customers are able to see the particular architecture style such as elongated rectangular structure called “the bed of eel”, double height ceiling, unfloored earthen passage etc, that was built by Kyoto people’s wisdom and ideas. Wakwak-kan is located near the Kyoto Imperial Palace. The town’s atmosphere as well as the street names remind us of the long history of Kyoto. The town’s name of Wakwak-kan, Tenshu-cho, seems to have come from the church of the Tenshu sect in the 16th century. The building of Wakwak-kan, located in the center of Kyoto, was built around 1910. Formally, it was the residence of the sake producer which extends to the street at the back. (Sakaimachi st.) Various features of the middle-class merchant’s machiya remain in the house. Features of the townhouse that merchants on the class of the middle class lived has remained variety. 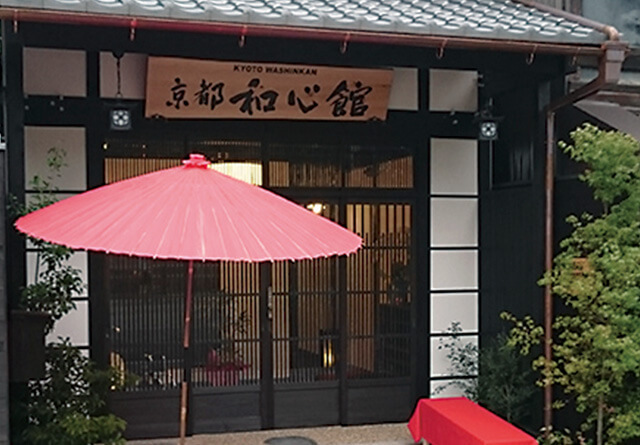 The building was originally an over 130 year-old machiya, traditional Japanese townhouse. Due to its weak resistance to earthquakes, the building was dismantled and rebuilt using the original pillars and beams. Consequantly, it transformed into so-called hybrid kyo-machiya with wheelchair-friendly facilities. All facilities on the ground floor of Kyoto Washin-kan are available to people with disabilities and the stairs were remodeled and a chairlift was installed. Also, there are five restrooms including one wheelchair accessible restroom.